The PB50 four-inch mobile label printer is the perfect complement to Intermec’s mobile computers, scanners and media to put your mobile workers in the warehouse fast lane. 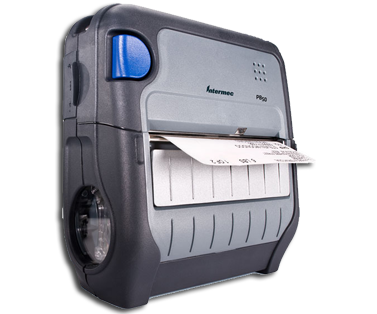 With the convenience of printing labels, tags and receipts where and when you need to through Bluetooth® and WLAN connectivity, the PB50 increases productivity for warehouse operations, or wherever you need a combination of wireless communication, ultra-fast print speeds and well-managed battery life in a rugged, wearable design. The PB50 printer interfaces seamlessly with Bluetooth-enabled Intermec mobile computers including the CK31, CK61, and CV30 vehicle mount computer, along with the CN3, and 700 series. The PB50 offers the flexibility to either be worn using a shoulder strap or belt clip, or it can be mounted to a mobile cart or fork truck.